We are deeply convinced that an opportunity to cooperate with outstanding artists will inspire many talented musicians and make them more eager to continue to develop as artists, and the personal artistic responsibility of each musician will translate into shared responsibility for the shape and quality of the orchestra. We believe that Jerzy Semkow Polish Sinfonia Iuventus Orchestra will be perceived by young musicians not so much as an institution, but as a community of shared objectives. We hope that their work here will bring them a lot of incredible moments, artistic success, as well as the kindness of the artistic circles and the acclaim of the audience. We expect that all academic centres in the country will support us by motivating their graduates to work for our orchestra. We want young musicians to promote Polish culture on the world-class level. We wish that their enthusiasm, discipline and joy of creating art become a showpiece for Poland at the international arena. The Polish Sinfonia Iuventus Orchestra was founded on the initiative of Jerzy Semkow, one of the most prominent Polish conductors. Established by the Minister of Culture and National Heritage with a decree of 1 October 2007, it is a state artistic institution, the guiding principle of which is to give young musicians an opportunity for an artistic orchestral debut and prepare them to work in similar professional ensembles. 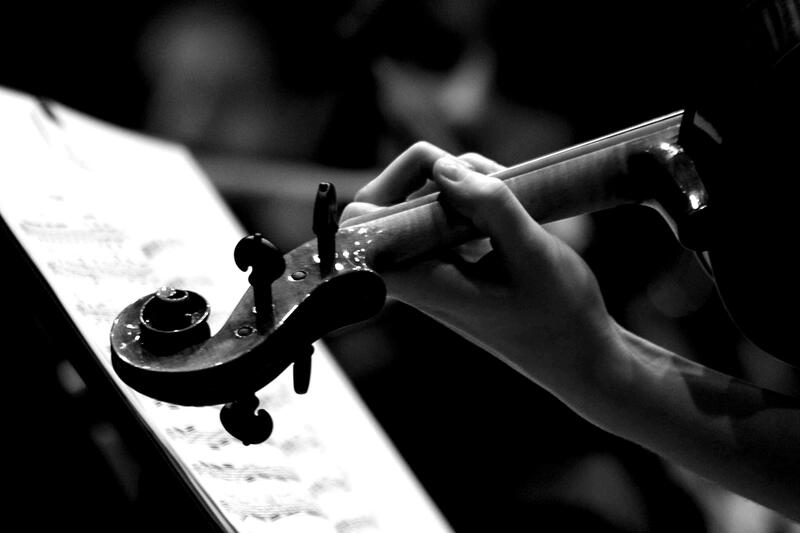 The Orchestra is composed of the most talented graduates and students of art music academies under 30 years of age. 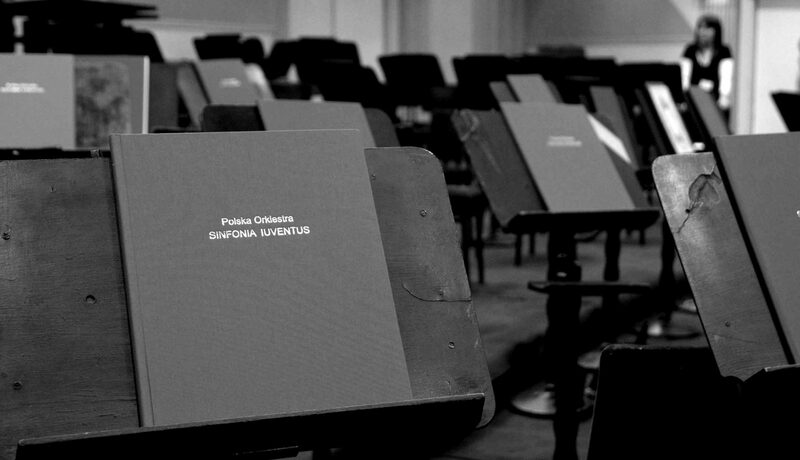 Sinfonia Iuventus began its artistic activity in June 2008. It has worked with many renowned conductors, including Jerzy Semkow, Kazimierz Kord, Jan Krenz, Krzysztof Penderecki, Gabriel Chmura, Antoni Wit, Tadeusz Strugała, John Axelrod, Charles Dutoit, Juozas Domarkas, Grzegorz Nowak, Jerzy Maksymiuk, Michaił Jurowski, Tadeusz Kozłowski, Andrzej Boreyko, Marek Pijarowski, Mirosław Jacek Błaszczyk, Jerzy Salwarowski, Evgeny Volynsky, Gerd Schaller, Eugene Tzigane, Massimiliano Caldi, Andriy Yurkevych, Tadeusz Wojciechowski, Marcin Nałęcz-Niesiołowski, Łukasz Borowicz, and soloists, including Konstanty Andrzej Kulka, Piotr Paleczny, Ivan Monighetti, Zakhar Bron, Krzysztof Jakowicz, Tatiana Szebanowa, Janusz Olejniczak, Jonathan Plowright, Abdel Rahman El Bacha, Eugen Indjic, Krzysztof Jabłoński, Olga Pasiecznik, Jadwiga Rappé, Vadim Repin, Jan Stanienda, Tomasz Strahl, Alena Baeva, Leszek Możdżer, Yulianna Avdeeva, Agata Szymczewska, Jakub Jakowicz, Piotr Pławner, Patrycja Piekutowska, Łukasz Kuropaczewski to mention just the few of them. The Orchestra has made a number of albums, radio and television recordings for Universal Music, CD Accord, DUX, Polish Radio, Albany Records, TVP Kultura and Warner Classics. A special place in the Orchestra’s discography belongs to two albums with a symphonic repertoire: Schubert (2008) and Czajkowski (2010), recorded under the baton of Jerzy Semkow. An important position is also occupied by albums with music by Krzysztof Penderecki under his direction – the complete symphonies (2010–2012) and albums with solo concerts (2014–2016). 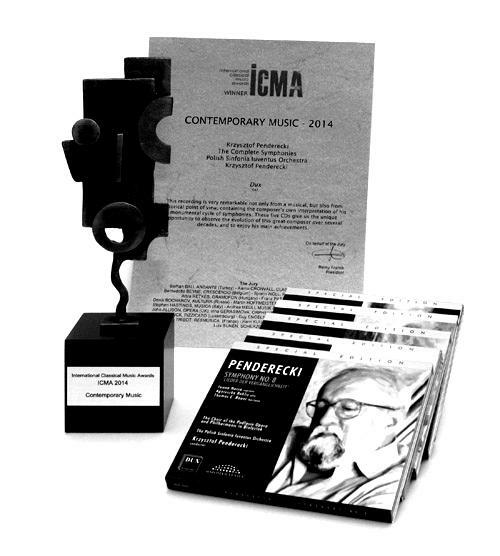 Selected recordings in the series have been honoured, including the International Classical Music Award (2014 and 2016). The ensemble’s body of work also includes recordings with such conductors and soloists as Mariusz Patyra (Wieniawski – 2008), Ivan Monighetti (Haydn – 2009), Gabriel Chmura (Strauss, Françaix, Debussy – 2010, Weinberg, Prokofiev – 2017), Marcin Nałęcz-Niesiołowski (Chopin – 2010), Agata Szymczewska (Bruch, Wieniawski and Mendelssohn – 2010), Tadeusz Wojciechowski (Chopin – 2010), George Tchitchinadze and Monika Wolińska (Bacewicz – 2012), Łukasz Borowicz (Paderewski, Stojowski – 2017), Michaił Jurowski (Rubinstein – 2018). 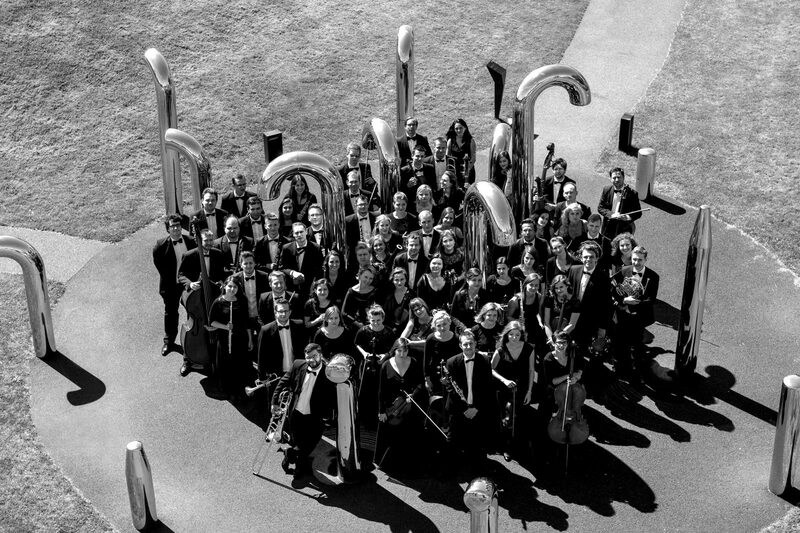 The Orchestra has performed on many concert stages and at numerous festivals in Poland and abroad: in Austria (Musikverein), China (National Grand Theatre), France (Grand Auditorium UNESCO, Palais de la Musique et des Congrès), Spain (Auditorio Nacional de Música), Germany (Konzerthaus), Portugal (Grande Auditório), Italy, Switzerland, Lithuania and Ukraine. In the 2017/2018 artistic season, the ensemble performed the contemporary world premiere of the sacred opera Moses by Anton Rubinstein under the baton of Michail Jurowski and the semi-staged version of Giacomo Puccini’s La Bohème under the direction of Tadeusz Kozłowski. Since April 2009, the Orchestra has been a member of the European Federation of National Youth Orchestras, and since September 2018, the Polish Philharmonic Association. In November 2013, Krzysztof Penderecki assumed honorary artistic patronage over the Orchestra. 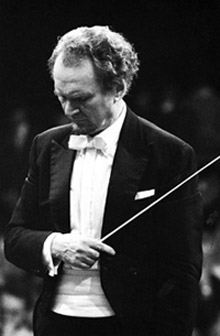 In 2018, the Orchestra celebrated its tenth anniversary of artistic activity, and during a concert at the National Philharmonic in Warsaw on October 8th, it officially adopted the name of Jerzy Semkow.